I can’t believe it’s already Friday. 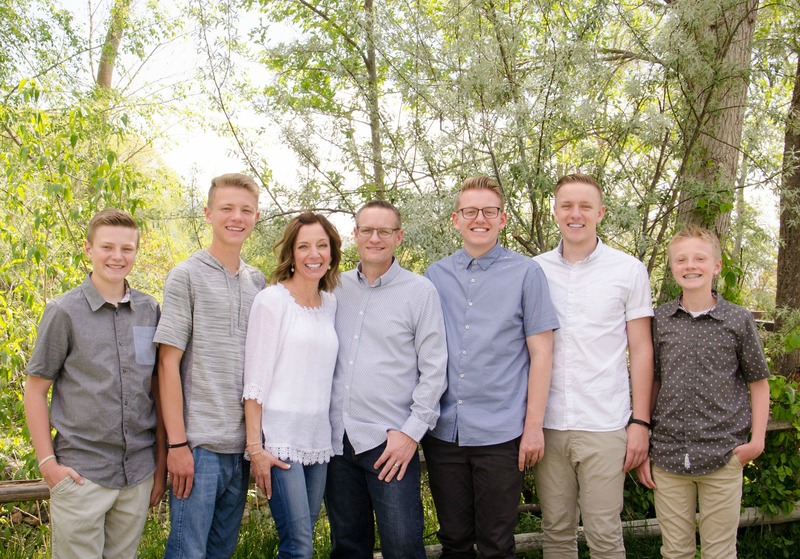 Sorry for the no-post on Wednesday. I had a fabulous quick bread recipe to share with you but was having internet issues. Things are fixed now so life is good. I had planned on sharing the quick bread recipe with you today, but then I made these mint cookies and cream blondies yesterday and it was no brainer which one I would be sharing today. Especially with St. Patrick’s Day just a few days away and these are the perfect “green” treat to make. 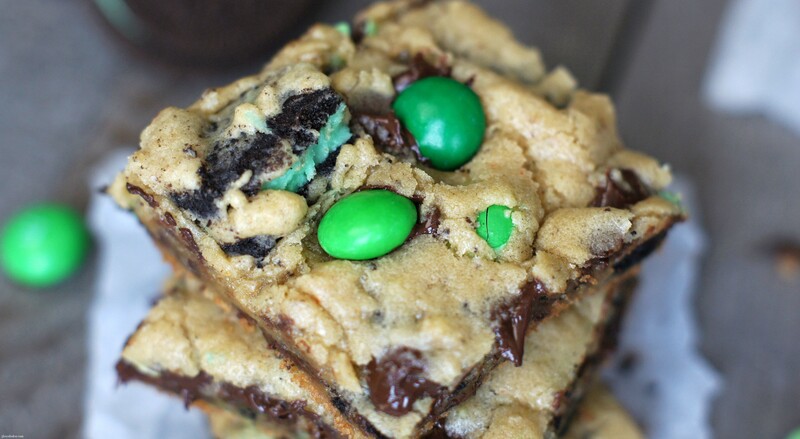 I took our favorite cookies and cream blondies and made a mint version and may I just say they rock. 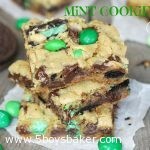 I love chocolate and mint together and these blondies let those yummy flavors shine! These blondies are rich, gooey and completely fabulous! We love to eat them while they are still slightly warm. So yum!! In a medium bowl, whisk together flour, salt, baking soda and baking powder. Set aside. Using a mixer, cream the butter and sugars. Add eggs one at a time until well incorporated. Add vanilla and pudding mix. Beat until light and fluffy. Slowly add the flour mixture and mix well. Add the chocolate chips and mix well. Gently stir in M&M's and Oreo pieces. Place a generous piece of tin foil with enough to hang over the sides of a 9X13 inch pan. (So you can pull it out of the pan after it has been baked.) Spray the tin foil and pour the batter into the pan. Pat down so it is even along all sides. Bake at 350 degrees for 20-25 minutes. You don’t want to over bake these. Bake just until center is set, but still gooey. Cool in pan and then take it out of the pan with the tin foil. Cut into bars. I linked up at: Buns in My Oven. I was lucky enough to get a plate of these while they were still warm and gooey! These are absolutely delicious!!! !